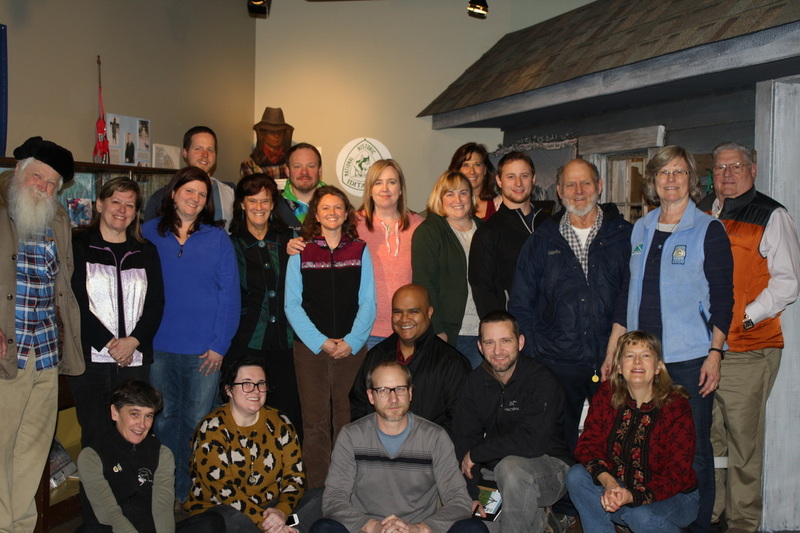 A placed-based professional development workshop series connecting communities along the Iditarod National Historic Trail - promoting resource stewardship, recreation and community engagement! Modeled after "A Forest for Every Classroom" along the Appalachian Trail, iTREC is a three- season, multi-disciplinary professional development series for educators aimed at providing the inspiration, knowledge, and skills to transform teaching into effective and exciting place-based education. Educators who participate in iTREC will develop their own curriculum that increases student literacy skills and fosters student understanding of and appreciation for the public lands and resources connected by over 2,400 miles of the Iditarod National Historic Trail. These curricula will integrate hands-on study of the natural and cultural resources of communities from Seward to Nome addressing concepts in ecology, sense of place, recreation, volunteerism, and civics. Research shows that a place-based education and service-learning increases student achievement, community engagement, and environmentally responsible behavior! At the heart of iTREC is the belief that students who are immersed in the interdisciplinary study of their own "place" are more eager to be involved in stewardship of their communities and public lands. The 2002 Independent Sector report, "Engaging Youth in Lifelong Service," states, "Adults who begin volunteering as youth are twice as likely to give time as they grow older." A recent report from the Corporation for National and Community Service, "Youth Helping America," also suggests that volunteering is a learned social behavior. As a teaching strategy that promotes volunteerism by linking curriculum with community services and fulfilling education goals, as well as, the needs of community organizations, we believe service-learning will promote civic engagement in communities along the Iditarod National Historic Trail and build lifelong stewards of Alaska’s public lands, natural resources, and cultural heritage. For more information, please contact Annette Heckart at (907)743-9502 or email the Alliance.